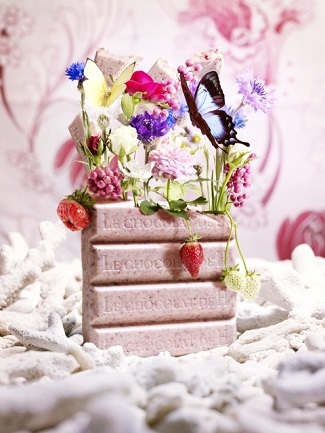 Organic strawberry, pink pepper, rose, vanilla, raspberry, coriander and cornflower are mixed with white chocolate. Each unique ingredient is well harmonized in taste. The taste changes depending on which part you eat or how much you bite. One bite of this chocolate takes you to the heaven.